SBM Discord Chat - Post here to be verified! For a while now, SBM Discord has vetted the people who join it, especially since last month's meltdown. The rule since then has been that, if you're going to join the server, that you need to either post a shout or a status to be given the members role. If you want to join our chat, and have never tried to before, this is where you need to go. 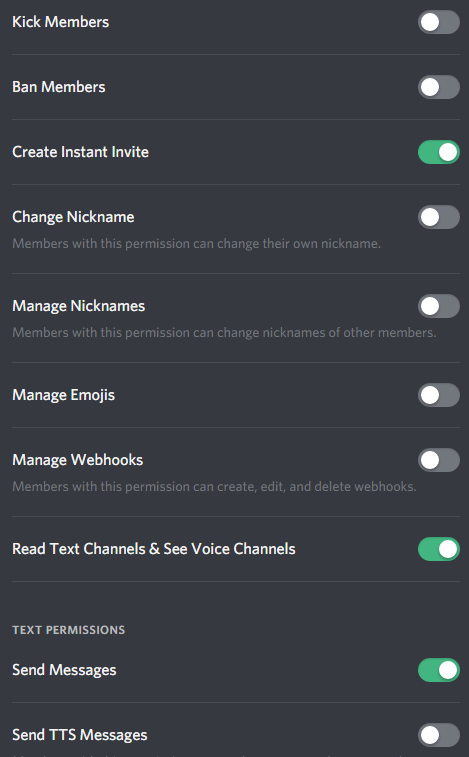 Simply post in this thread, say what your Discord username is, and one of our crew members will give you the role you need to get into the chat. Read again - you need to have 10 posts here. who are you on discord? Added, also a heads up, changed your server nickname to your name on here so we know who you are based off your forum name, it's just procedure to make things easier, your name should still show as EsmeMarion for other servers. Changing nicknames is disabled for regular members on the server, so that would be helpful. I think you're allowed to get back in, BBK and Tais were able to join back themselves. Though you'll still have to be verified, so if/when you join back you might have to say something on the shoutbox or this thread again. And it might take a little longer since there's only 2 chat mods right now, so only like 3 maybe 4 people could be there to let you back in. Should be done, I'm not fully sure as to what happened last night as all the drama happened while I was asleep, but for now you're let back in, if there's still an issue logging in just post here again. I know you did nothing wrong so I assume you left because Hawk's punishment was unfair. Join and I'll approve you. Click on the chat button above so that your name appears in the member list to approve you. Sonicdude2355#2729 is my Discord tag!